Millions of men lived in the trenches during World War I. More than six million died there. 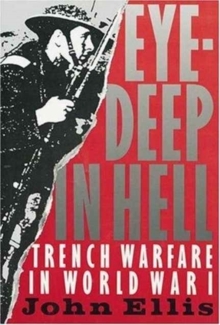 In Eye-Deep in Hell, the author explores this unique and terrifying world-the rituals of battle, the habits of daily life, and the constant struggle of men to find meaning amid excruciating boredom and the specter of impending death.